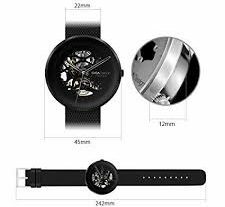 On November 30, 2017, Xiaomi crowdfunded the first mechanical watch—-CIGA Design Automatic Mechanical Analog Watch, which was sought after by platform users. It started in 78 minutes, 90 million in 90 minutes, and 2000 in 3 hours. Support! It is expected that the crowdfunding on the 14th day of the launch will be sold out on the same day! The first attempt of the new category of Xiaomi crowdfunding will be successful, and the new way of playing the Internet world fashion watch will be launched! At the heart of the consumer upgrade is the design upgrade, and young consumers are more interested in design that differentiates and expresses their individuality through product selection. The CIGA Design login to Xiaomi crowdfunding has opened up a new path for CIGA Design. Based on the appreciation and recognition of CIGA Design brand design capabilities, Xiaomi Boutique Life E-Commerce has made new attempts to traditional industry watches. Users of the platform and rice flour discover new and good designs. National Watch Newborn – China’s original designer watch brand CIGA Design, founded by Mr. Zhang Jianmin, one of the top ten outstanding industrial designers in China’s industrial design, has won six German Red Dot Design Awards and the only iF in the 2017 traditional Xiaomi CIGA Watch. The design bonus award is the only double winner of the German Red Dot Supreme Award in the domestic watch field and the German iF Product Design Gold Award. CIGA Design’s all-hollow mechanical watch won the 2017 German Red Dot Design Award. The double-sided all-empty design attracted consumers’ attention. The square case with round movement design explained the traditional philosophy of the place. Its design concept and unique appearance constitute the unique visual DNA of this product, and the original design is unique only to stand out. Watches are the carrier of time, quantifying time, and we have the concept of time outside the rising sun. The double-sided hollow design reveals the perfect mechanical beauty through sapphire glass. The oscillating weight that swings with the arm swaying, the interlocking gears, and the precise mechanical movement record the flow of time. 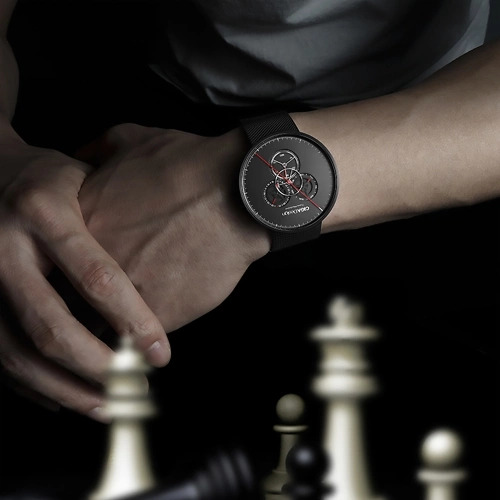 In this watch, every minute and second is visible, and behind the good design, the designers are unique. Schopenhauer once said, “The objects we are willing to wear are an external reflection of the inner state.” Nowadays, for mechanical watches, the reading function is not the first, unique design, precise mechanical sense. 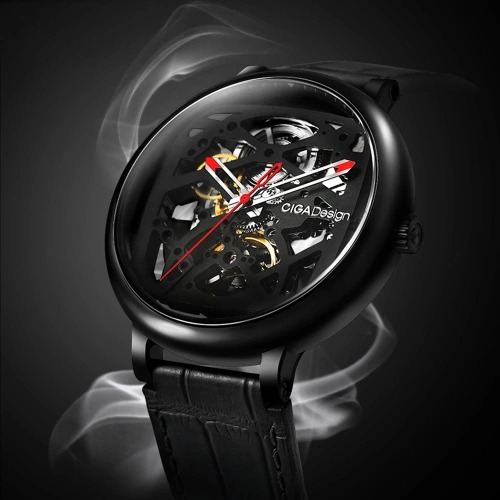 The mechanical watch is undoubtedly an accessory that can express its own personality. The precision mechanical design of the dial, the combination of a variety of straps not only achieves the contemporary consumer’s preference for simple style, but also meets the needs of multiple scenes, combining aesthetic and practical. With the spread of consumption, young consumers are more inclined to express their own personality and even represent their own products. Living in an era of choice, CIGA Design hopes to use its own design capabilities to provide consumers with different and sufficient products. Choice. China is a big watchmaking country. There are 8 productions in China for every 10 watches produced in China. Compared with European and American countries such as Switzerland, the national watch still has a long way to go. International attention to Chinese brands is gradually increasing, and Chinese originality and Chinese manufacturing need more people’s support. This time in the millet boutique life e-commerce —– product app crowdfunding products are available in black and silver, the custom gift box contains stainless steel braids and belts, to meet different styles of free to change, the first The batch has been sold out, and the second batch of preparations is coming, so stay tuned! Originality is the mission of a designer. Every original work is a long-term accumulation and sentiment of the designer. Chinese originality requires more people to recognize the original value. Every penny we spend is voting for the world we want! What is the attraction of mechanical watches?